The Barnard Medical Center has opened its doors this month in Washington, D.C., offering integrated nutrition and medicine at all visits. As a health care center dedicated to plant-based disease prevention and recovery, Barnard Medical shines a spotlight on the lifestyle-induced illnesses that plague our nation. Yet as a full-service medical facility, Barnard Medical treats the range of conditions that are typically seen in a busy primary clinic, providing bandages, medication, and appropriate care for conditions that do not appear to be diet related. Before a visit is over, however, all patients are invited to schedule a diet makeover and get help dropping habits like smoking or alcohol. Says Dr. Neal Barnard, "A twisted ankle is not likely to be fatal, but bad eating habits that go overlooked year after year may well be. We'll help change them." Relying on a staff of physicians, nurse-practitioners, and registered dieticians, Barnard Medical teaches patients that "DNA is not destiny. Positive diet and lifestyle choices can profoundly affect your risk of disease and its progression." The difference Barnard Medical offers is support for making the choices and changes that will prevent, halt, or even reverse disease. There are cooking and nutrition classes, visits with the staff dietitians, grocery store tours, and even support groups for weight loss, heart health, type 2 diabetes, and migraines and arthritis. Says staff physician Steve Neabore, "For any condition which is known to respond well to dietary intervention, we will offer support and education for those patients." The Barnard Medical Center is dedicated to state-of-the art medical care and to teaching that inflammation and its symptoms do not have to be the end of health-as-we-know-it. High cholesterol, high blood pressure, type 2 diabetes, and obesity are all treatable by aligning our eating habits with our body's need for proper energy and nutrition. When we stop putting in unhealthy food and replace it with healthy food, our bodies rapidly begin healing. While Barnard Medical may be unique, there are a growing number of physicians around the country who, like myself, have discovered that plants hold the key to unlock health for their patients. Our friend Lindsay Nixon at HappyHerbivore.com maintains a list of physicians who encourage their patients to eat a plant-based diet and thus reduce their need for medication. 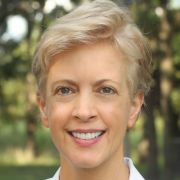 Over my past ten years at AllMedPhysicians, pLLC, my general medical practice near Austin, Texas, it has been gratifying to watch my patients move from pain and disease to health and vitality when they replace animal products and processed foods with a whole-food, plant-based, no-added-oil diet. Crippling rheumatoid arthritis becomes asymptomatic, Crohn's disease is no longer limiting, diabetes no longer threatens eyesight or mobility, and the risk for a heart attack or stroke decreases as blood pressure and cholesterol numbers come into normal ranges. I applaud the opening of the Barnard Medical Center, and the good work it will do in our nation's capital to bring attention to the health benefits of a plant-based diet. And to the greater Austin community, I offer the services of my private clinic where I counsel patients as they progress towards optimal health, offer free showings of DVD lectures by leading experts in the plant-based community, give referrals to a local plant-based dietician, and recommend books and resources with reliable, science-based information specifically for the medical conditions each patient faces. Plants on our plate offer hope for our health. Give hope a healthy chance today by calling me at 512-295-7877 to schedule your visit to my office in Buda, Texas. Click on www.veggievore.com (if you're not in the Central Texas area) to stream my presentations that show how to reverse various symptoms by eating or avoiding certain foods.